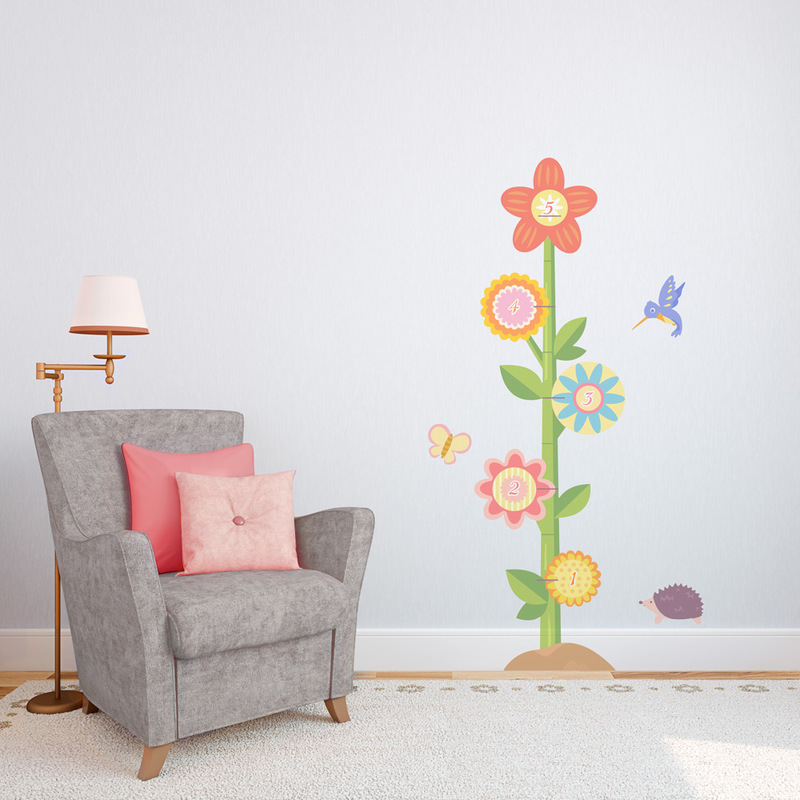 Record your little one's growing with this wonderful floral growth chart. Children will love the colors and characters! Flower stalk dimensions are 20" wide x 68" tall. When installing the measurements, you will want to measure 1 foot up from your floor and make sure that the 1' mark on the wall growth chart decal matches up with your measurement. 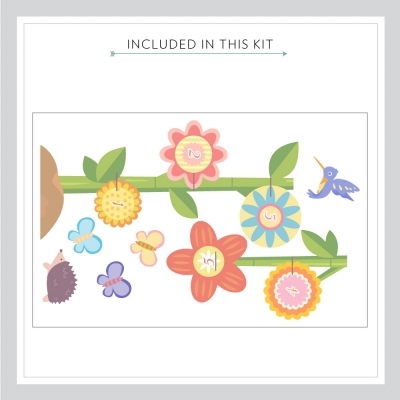 This Wallums flower growth chart decal requires some assembly. Some elements will need to be placed by hand.